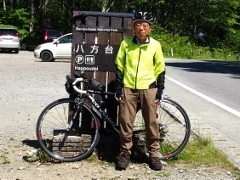 I participated in Iide-no-tsudoi or Mount Iide climbing tour promoted by Yamatomachi, Kitakata City, where the summit was located. It was a 3-day tour with two overnight stays at a mountain hut. Mount Iide (2105m) was known as a sacred mountain which was best suited for experienced climbers, as well as an attractive mountain where beautiful alpine flowers start blooming right after the thaw. 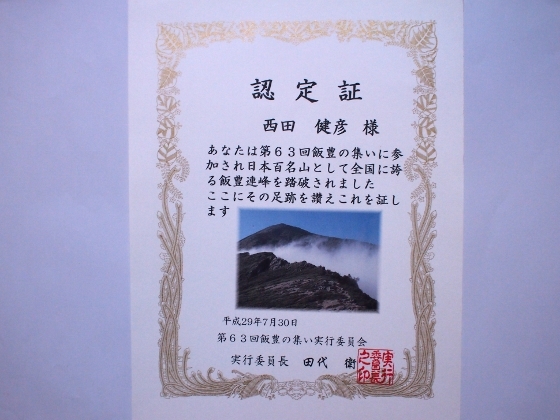 It was designated as one of the best 100 mountains in Japan. 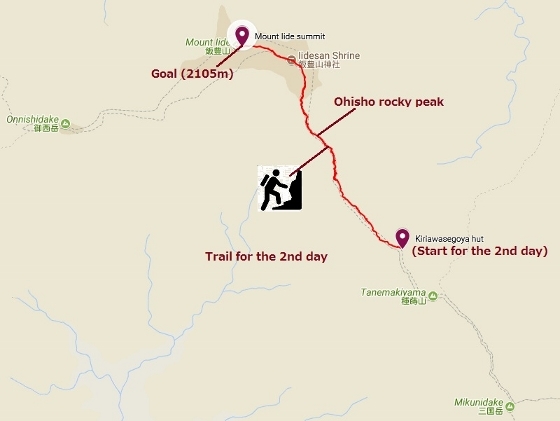 Although I was still a beginner hiker, I challenged the mountain this time by joining the Iide-no-tsudoi party in order to experience the superb mountain. The excellent party took best care of every climber’s security with experienced leaders, local fire and police officials attended. I was grateful to all of those who supported for the safe trail tour. 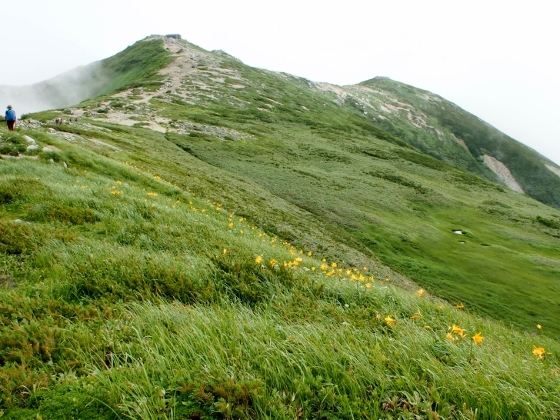 Photo above was a beautiful Chinguruma plant blooming in clusters at a little walk from Kiriawase mountain hut toward the summit on the second day. 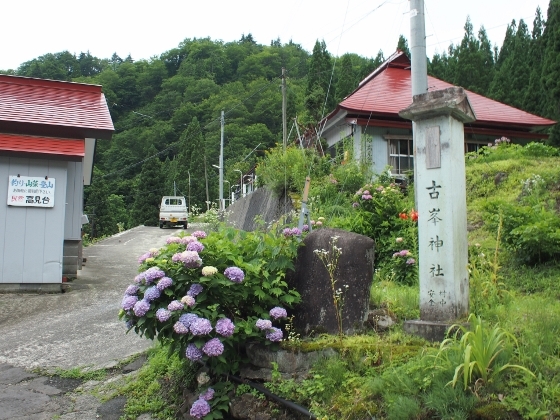 Talking from the beginning, on the night before the tour I stayed at a private house or “minshuku” as shown above, at a small village of Kawairi which was the nearest village to the starting point (Osawa camp ground) of the tour. 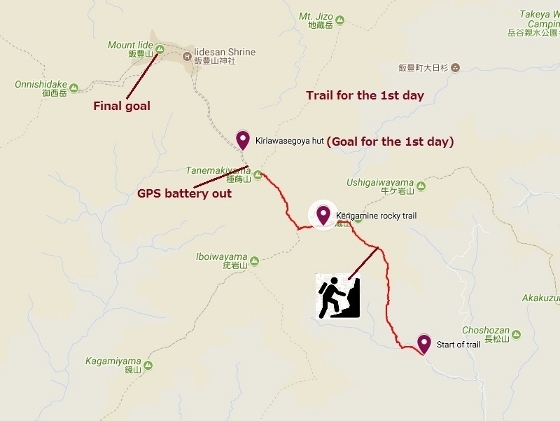 On the first day, the party started climbing with all the 43 participants and 11 leaders and security support staffs, from Osawa camp site at Kawairi. 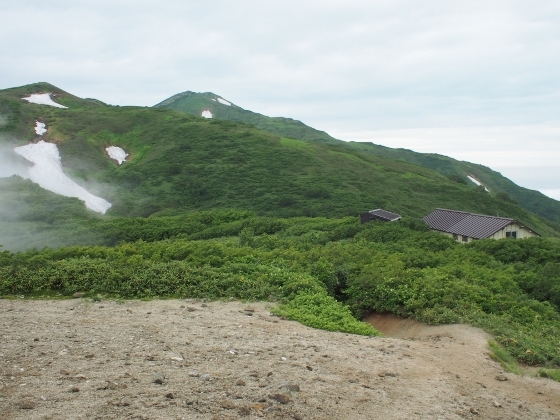 We headed for Kiriawase mountain hut (1769m) in the middle. It was a hard climbing for me (but not for everyone) with steep rocky trail of Kengamine and Akaiwa. There was no photo for this day because I was busy keeping pace with the party and also because it was a rainy day. We all reached the goal of Kiriawase hut in the late afternoon, which looked like as shown above on the right end early next morning. The mountain in the center was Mount Iide. 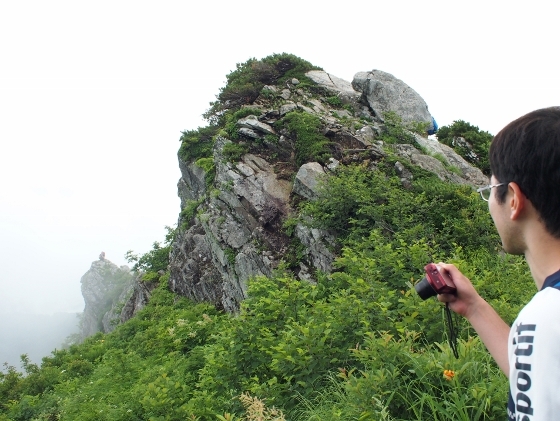 In the next morning we started toward the summit of Mount Iide. First, we met with a stone image called “Ubagongen” as shown above. Then we came to another risky rock climbing place called “Ohisho” as shown above. The photo was taken after passing the site. 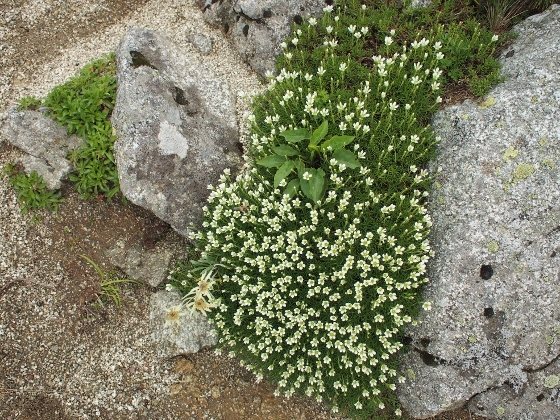 Climbing toward the summit, we found some of alpine flowers as shown below. 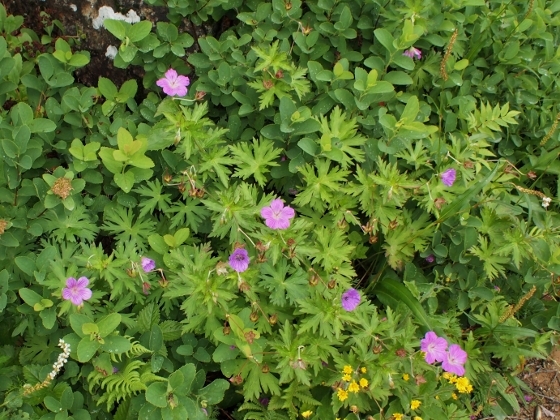 Photo shows pretty violet flowers of Hakusanfuro or Geranium yesoemse var. nipponicum. 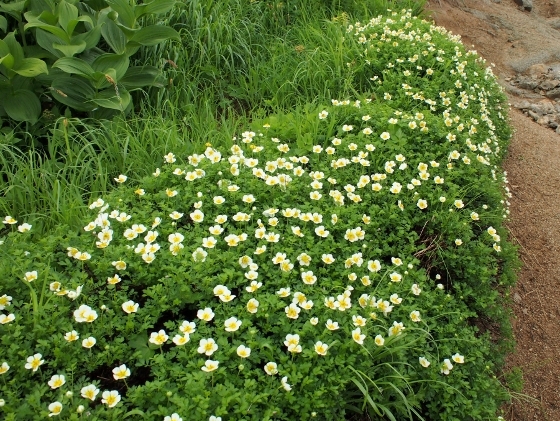 Photo shows a cluster of Takanetsumekusa or Minuartia with pretty white flowers. 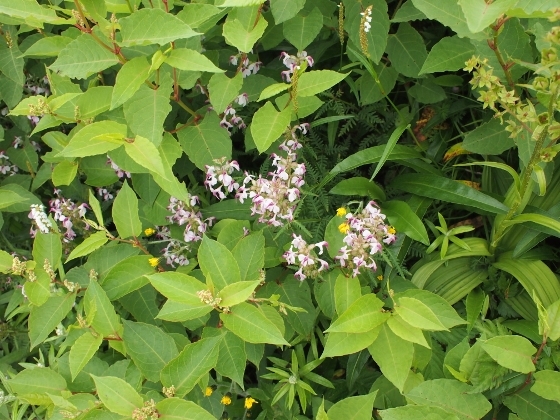 Photo above shows violet flowers of Yotsubashiogama or Pedicularis japonica. 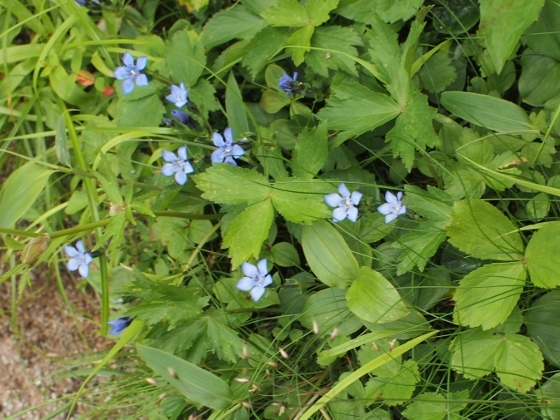 Photo above shows indigenous species of gentian called Iide-rindo which grows only on this mountain. 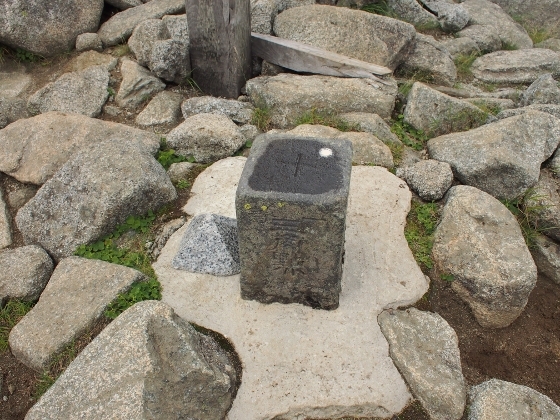 Finally we made it to the summit of Mount Iide (2105m) as shown above. This was a first order triangulation point. On the return trail we could see Nikko-kisuge flower field on the right slope as shown above. We spent another night at Kiriawasegoya hut tonight. In the neighborhood of the hut I could see some other flowers as shown below. There were many of them around. 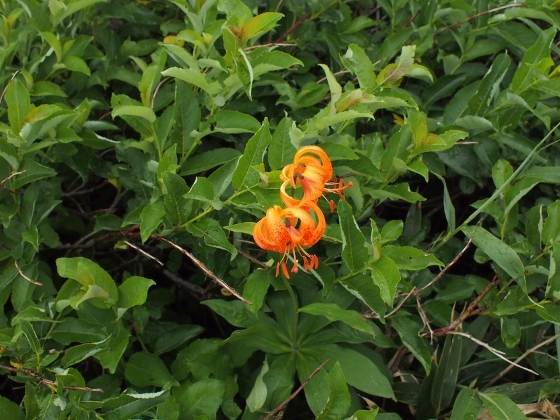 Photo shows orange flowers of Kurumayuri or Lilium medeoloides. 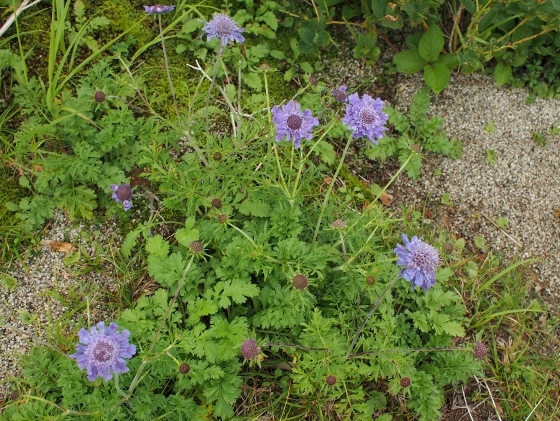 Photo above shows blue flowers of Takane-matsumushiso or Scabiosa japonica var. alpine. 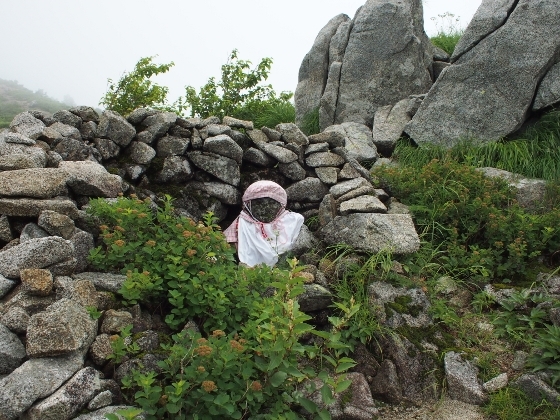 On the third day, we left the hut and headed toward the starting point at Kawairi. 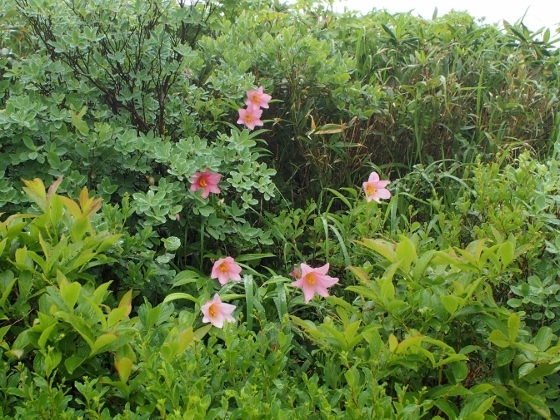 On the way we were lucky to find pretty pink Himesayuri or Lilium rubellum flowers along the trail as shown above. The party finally arrived at the goal or the starting point with all members safe. I was the last member to goal. I really appreciate the full support by leaders and security staff members otherwise I might not have made the goal safe. 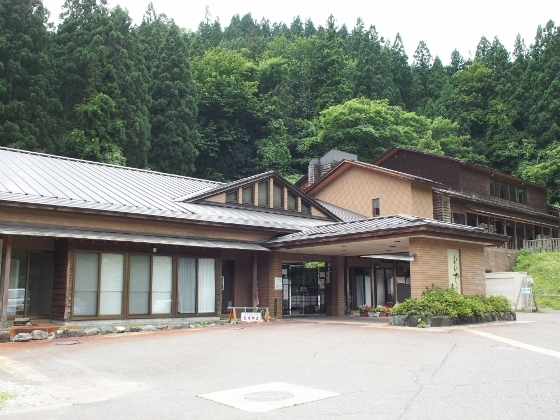 Finally we had a nice Yamato-soba lunch which was a great local specialty at Iidenoyu rest house which looked as shown above. All of us were given a certificate of the accomplishment as shown above. 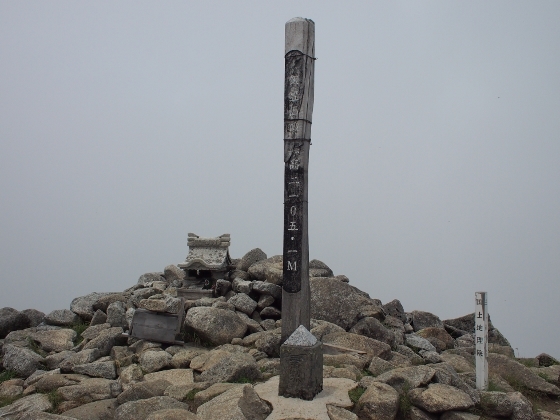 I believe this Iide-no-tsudoi tour promoted by Kitakata City is an excellent occasion for those who want to experience climbing to Mount Iide for the first time. You can play back the route and altitude on the map below. But this time the GPS trace was not complete or accurate maybe due to device problem.